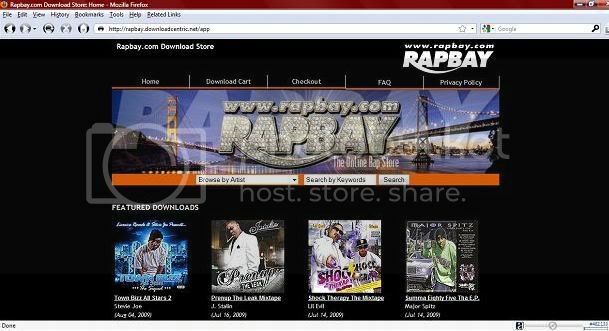 The Rapbay download store is so easy to use. First sample 30 second clips of any song we have in the Rapbay Download store. Then add the albums or songs of your choice to your shopping cart. After that checkout and download your music instantly. All tracks are in MP3 format and can be added to any IPod, MP3 player, computer, or just burn the songs to a CD. We now have over 480 titles to choose from and are adding new titles everyday. Our new search function is up and running. You can now search group names, artist names, album titles, key words or anything you choose to type in the search box. We also enlarged the art work on the front page for a better look.